Shouldn’t the P90X workouts be getting easier by now? I guess not, because P90X Plyometrics killed me again! At about the 35 minute mark I had to pause the P90X DVD and take an extended break to catch my breath and let my legs rest. I then continued the workout and at about the 20 minute mark I had to pause again to take another break! This time I had a cramp from the smoothie I had prior to my workout (I definitely should have listened to Tony Horton’s advice and waited at least an hour prior to starting P90X Plyometrics). Phewwwww! Day 8 of my P90X workout is complete. Today was Chest and Back, and Ab Ripper X. I did Ab Ripper X first this time, and it actually seemed to go better. I still had to pause the P90X DVD like usual between some of the exercises though. Also, when I got to the Mason Twist I ended up stopping at the 10th rep (I’m really mad at myself for doing that) and taking a quick break. Ab Ripper X is a tough workout and I hope one day I can get through it without stopping! 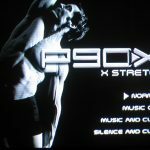 I just completed the P90X X Stretch and I am officially done week 1 of P90X! The X Stretch sequence is an extensive full-body stretch (34 moves) that uses disciplines from multiple sports such as Kenpo, karate, and yoga. For this P90X DVD you’ll need your yoga mat and yoga blocks. Wow!!! Another killer P90X workout! I just completed day 5 of my P90X journey. Today was Legs and Back, and Ab Ripper X. The P90X Legs and Back workout consists of 23 exercises. You’ll need your P90X pull up bar, a chair, a wall, and your dumbbells. For the back exercises you’ll be doing 2 sets of each type of pull up like usual. For the leg exercises, you’ll be doing 1 set at various different reps (Tony will let you know how many to do). Last night when I told my wife that today was Yoga X day she laughed at me and said, “Jonathan, you’re the most inflexible person I know!” I said, “Yep, it’s going to be rough!” I just completed P90X Yoga X, and it was really rough, but I just did my best and forgot the rest!